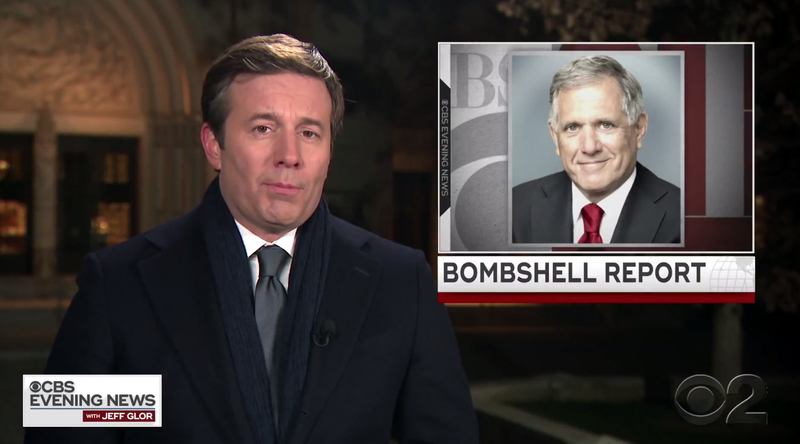 On Moonves’ former home network, ‘CBS Evening News‘ covered the story about 11 minutes into the broadcast with a full package, including an animated infographic and ‘Bombshell Report’ OTS. Anchor Jeff Glor was anchoring in front of the National Cathedral in Washington, D.C., wrapping up the network’s coverage of the Bush funeral. 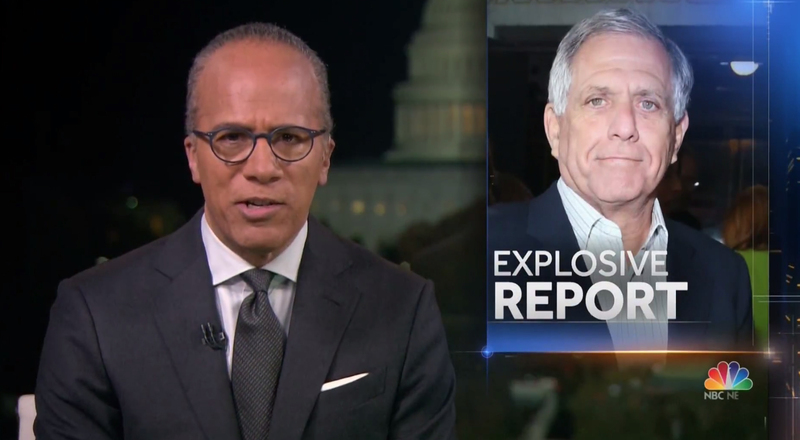 ‘NBC Nightly News,’ also packaged the story — with an OTS graphic reading ‘Explosive Report’ shown next to anchor Lester Holt, who was also reporting from Washington.